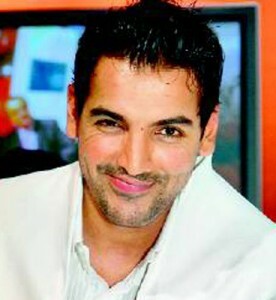 After his last release Force, actor John Abraham is in extremely high spirits. Along with his film doing well commercially, he was also hailed for his performance and that is something John has been wanting for quite some time. While he has got the thumbs up from critics, John isn’t letting the sudden appreciation get to him. “With a lot of humility and integrity I accept these compliments that are coming my way graciously, but I know that these hold true only till your next film. Success and failure are both temporary and I understand that very well. Force will always be a film that I will be proud of when I look back at all my films,” he smiles. While his professional life is being talked about, his personal life too has been in the spotlight after his break-up with actor Bipasha Basu. He has been linked to a banker, a lawyer and the latest one being actor Deepika Padukone. The two met on the sets of their upcoming film and since then rumor mills have been abuzz with stories about the twosome. He has vehemently denied the rumors of a link up with Deepika but what about reports that suggest he will team up with Vidya Balan in Sanjay Gupta’s next? It can be recalled that there were strong rumours that suggested that there is more to John and Vidya’s friendship on the sets of Salaam-E-Ishq.